Our appearance speaks louder than our words…..
Every day we pass by hundreds of people on the subway, in hallways, or on the streets, never saying a word. Yet despite the lack of verbal communication, decisions are being made as to the trustworthiness and intentions of those around you. Doubt this? Try wearing a ski mask and trench coat while gesturing wildly with your arms. In the 15 minutes you have before the police show-up, take note that despite not saying a single word your appearance has sent a message. Yes, what I just said is unfair. Right now you may be thinking “Judge me not by my clothing, but by the integrity in which I live my life” – and I couldn’t agree more. But life isn’t fair, human beings have and will continue to judge others based on the information presented to them – and in most situations this is at first our physical appearance. Dress like a thug and people treat you like one; dress like a professional and you’ll have doors opened for you. There are many things that we can’t control; the weather, the economy, the fact that college football needs a playoff system. How we present ourselves to strangers and new acquaintances, however, is not one of them. When you shake hands with a potential partner, they form an instant impression of you which is not easily dislodged. First impressions are powerful because until we begin to speak, they are the only bits of information we have to make a snap decision as to whether we like or trust someone. 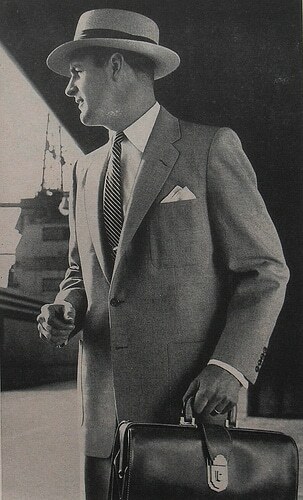 Countless communication studies have shown a man’s visual appearance is initially more powerful than what he says; ignore your wardrobe at your own risk. 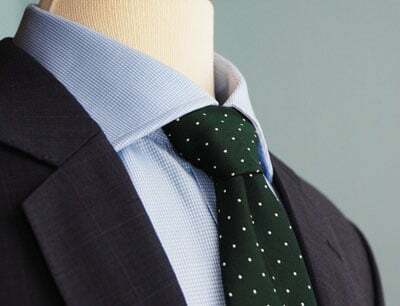 Part 1 – How to Build Your Wardrobe – Making the Commitment & Understanding Your Needs – Before a man begins anything that will require substantial time and resources, he has to be committed to the change. In this article we break men up into defined groups based on their lifestyles and we then address their specific needs. The goal is to give you a quick checklist of items you should consider investing in depending on your career choice and personal requirements. 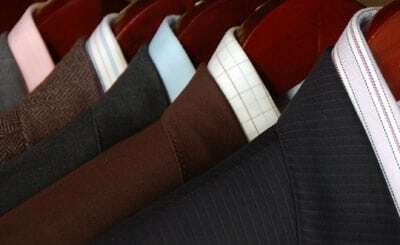 Part 2 – How to Build Your Wardrobe – Clothing Specifics – In this article we address specific menswear questions such as the order in which you should assemble your clothing, which suit colors and style should you choose if you only own one suit, which shoe styles you will get the most wear out of, and how you mix casual wear into the wardrobe. We’ll also talk about where those on a very limited budget should invest the bulk of their money if they are starting from scratch. 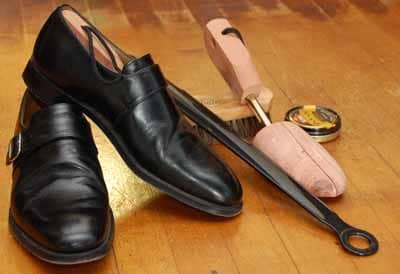 Part 3 – How to Build Your Wardrobe – Accessories, Maintenance, & Storage – In this final article we’ll cover the often neglected points of a man’s wardrobe such as how to incorporate hats, watches, & other accessories along with clothing storage & protection. First, before spending a dime, you must commit to making the change. Do this by going through your current clothing and setting aside everything that you 1) have not worn for two years 2) is noticeably stained and 3) fits so poorly not even a master tailor could adjust it to fit. Package it all up and mark it for the Salvation Army or EBay. Now over the next week verbally inform a few close friends and family member as to what you are doing – perhaps even promise a new profile picture on Facebook of you decked out in your new clothing. The goal here is to create a network of supporters and audience; this puts pressure on you to fulfill your promise. And do not forget to gain the support of your spouse or the person who will be helping you to pay for all this. I find my clients’ wives are ecstatic and fully supportive of their husband’s efforts to dress better. If you keep your partner out of the decision, however, you could be met with unexpected resistance. You have to understand why you need professional clothing in your wardrobe. I’ve written about this point quite a bit; if you need further convincing check out past Art of Manliness articles such as Your Personal Appearance: The Importance of Being a Sharp Dressed Man or explore the writings of former FBI counter intelligence agent Joe Navarro – he blogs extensively about the importance of proper presentation and the power of your curbside appeal. And make sure to supplement these guides with modern style blogs such as Street Etiquette, Put This On, Image Granted, and Young Man/Old Man. You wear a suit Monday through Friday, often find you are having dinner with clients, and even on the weekends dress well as you might run into colleagues and clients out on the town. Your image is tied closely to the reputation you have carefully crafted over the years – a man who pays attention to the details and can be trusted to handle others people’s affairs with professionalism. Full black tie ensemble – A onetime investment enables you to have a perfect fitting and better quality tuxedo that has paid for itself after 5 wearings. You occasionally wear a suit when meeting with clients or investors but in the confines of your office you are more casual while still maintaining a level of professionalism around your employees. In the evenings with friends and family you are much more relaxed, and even if you head to the office Saturday morning, you’re going in jeans and a polo. You have a specific uniform you wear that is required by the nature of your work. The only time you need personal clothing is when you have time off in the evenings and your weekends. You wear a suit rarely, but when you do you like to look sharp as being a man of detail you pay attention to the small things. You work in an environment in which creativity is valued and conformity is dreaded. Although you have some colleagues that dress in the clothing they slept in, you realize that dressing up a notch does not mean you are losing yourself as an individual. Rather it gives you a chance to better express it without compromising your chance for opportunity. Your Wardrobe Budget – How much time and money do I need? Ideally a man should build his wardrobe a few pieces at a time over a decade. In tune with his clothing needs, he should be on the lookout for missing pieces to be had at a value price. Slowly integrating these finds into his closet, he will be ready at a moment’s notice for whatever event is thrown his way. If you have time on your hands, develop a basic understanding of style and shop in thrift shops and bargain bins, and you can piece together a respectable wardrobe for around $300 to $500. When time is a premium, the cost of a wardrobe can rise dramatically. If you do not have years to piece your wardrobe together, you may end up spending ten times the numbers above as you’ll be paying full retail for most items. If your wardrobe is going to be suit heavy, expect to spend well over 5K. The one upside to purchasing quite a few items at once is that you may be able to negotiate a discount for a large purchase – I do this quite often with my clients as it is a win-win scenario for both of us. Finally, remember that purchasing quality is an investment; purchasing quantity on the other hand is an expense. It’s better to own a few well made garments that you wear often than a full wardrobe of cheap & poorly-fitted clothing that……well, looks cheap and poorly-fitted. In part 2 we will cover the specifics of the garments listed above – what colors and style to purchase first, how to spend your limited funds on good shoes or shirts, and how to get the most miles out of a small set of clothing. Please stay tuned! Articles on Mens Suits, Dress Shirts, etc.